This, the first comprehensive academic volume on vocational education and training (VET) or career and technical education in the United States, features insights into a variety of issues in this field of research. The international reader will find an up-to-date synthesis as well as a critical analysis of the relevant history, philosophy, governance, legislation and organizational structures. The coverage is structured according to the benchmarks applied to, as well as the theoretical discussions around, VET. The topics covered all have a strong contemporary relevance and include education versus qualification, the American community college, the issue of localization versus globalization in governance, vocationalism in higher education, career guidance and career counselling, and apprenticeships in the U.S. This book supports the assertion of the relevance of career and technical education -both for the individual and the labour market. 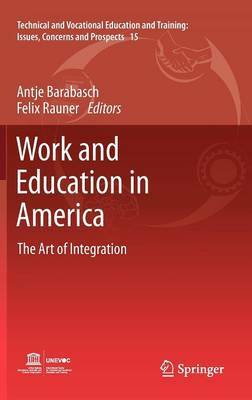 Scholars, policy makers and practitioners interested in issues of vocational education and training, technical education, and career education will find this collection of critical and reflective discussions very useful in any analysis of the features of VET approaches taken in America.